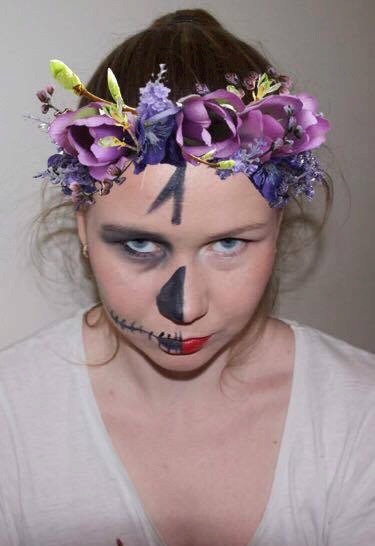 Today I am showing you this very easy Halloween Makeup look. 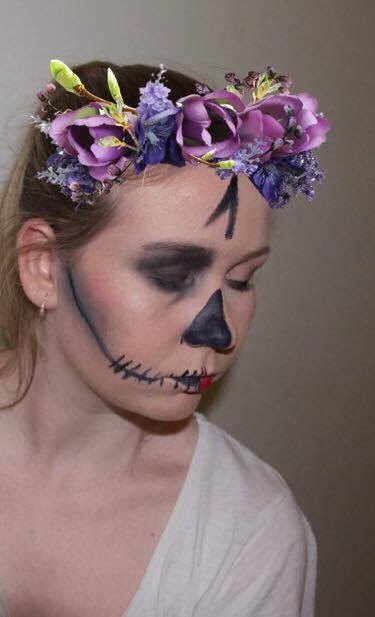 I have never really done Halloween makeup and these photos are from the first time I tried this look! If you are looking for something really easy to do for Halloween this one is for you! All you need is some black eyeliner or black eyeshadow! I hope you enjoy. I know this is not the best and it needs some work! I have gotten slightly better at this look. On Halloween I am sure it will be better. I plan on wearing this look with just a plane black dress. You could make this more scary buy wearing a white old dress and putting holes and blood all over it! This look is very easy to achieve. 2: Put black eyeshadow all over one eye. On the lid, over the brow and under the eye. 3: Use black eyeliner under the cheek bone and draw a line to the corner of your lips. 4: Blend out the eyeliner like you would contour. 5: Add lines to the black line and to the lips. 6: Colour the center of the lips black. 7: Colour half of your nose black. 8: Draw some lines on your forehead. I decided to only do half of my face as I think it's a good way to have a pretty and scary look at the same time. 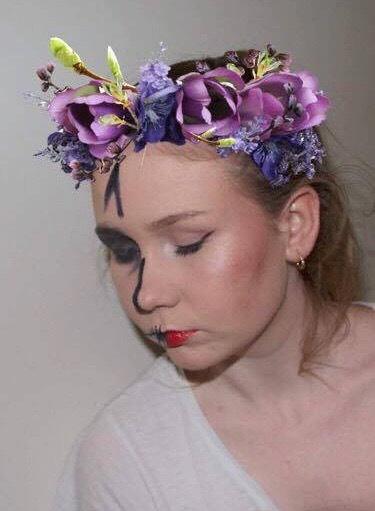 In these photos I have photoshopped a flower crown onto my head. I plan on buying a flower crown to wear on Halloween. I know this look is not very hard and I haven't done the best job at creating it. 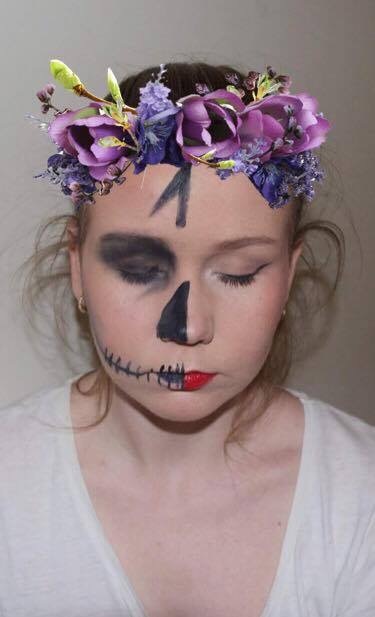 However, I am really happy with it, especially for my first time trying a Halloween makeup look. Have you got your outfit planned?